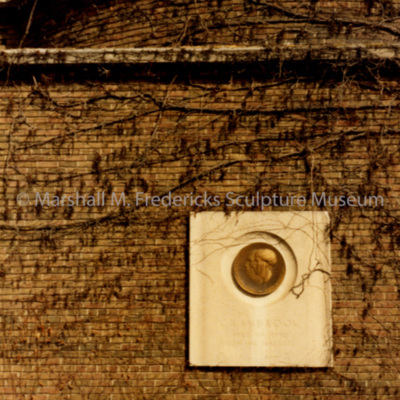 Close-up view of "George Gough Booth and Ellen Scripps Booth Memorial"
Gilt bronze on limestone. 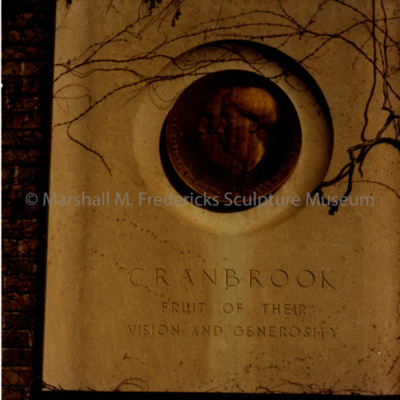 Located at the Cranbrook Institute of Science at Cranbrook Educational Community. "George Gough Booth and Ellen Scripps Booth Memorial"